Search engine optimization is constantly changing, but you still need to include keywords in your content. But how do you find the best keywords? With the tools and tricks of experienced search engine marketers, of course. Use these secrets to find keywords that help you pull in lots of profitable traffic. Long-tail keywords are really phrases of 3 to 5 words and sometimes more. They work because people searching for longer key phrases are usually closer to the purchase stage in the buying cycle. So even though the overall search volume is lower, long-tail phrases attract targeted traffic that you really want on your website anyway. And because long-tail keywords usually aren’t as competitive as shorter keywords, they can be much easier to rank for, meaning they are more likely to send you some traffic. Product titles are a good place to start. Search your brainstormed list of product or service keywords in the Google Keyword Tool, making sure you’ve checked the “Exact Match” box. Known as LSI, this secret to finding the best keywords involves using related terms in addition to your main key phrases. LSI works because search engines are getting smarter. If a page talks about cars, for example, search engines expect to see related terms like makes, models, and car parts. The more semantic words they find, the more relevant and authoritative they assume you are. So you rank better for more keywords. Search your main keywords in the Google Keyword Tool with the “Broad Match” box checked. This will present a list of search queries that are similar to your keyword, often in different orders or with different word endings (such as -s, -ed, -ing). You can also brainstorm related words yourself, use a lexical database, or search in Google with a ~ before the keyword to see related results. Trends show you what’s popular on search. If any of the trending search queries or topics are related to your niche, or if you can effectively newsjack a trending topic, you can get a lot of traffic very quickly. There are a lot of tools available to help you discover trending search queries, but the most well-known is Google Trends. You can use local keywords without a physical location to capitalize on your target market’s desire to shop locally, to offer fast shipping, or if they will want to meet you face to face. Using various keyword tools, filter your results by location. Many will automatically filter by country, but try filtering by your state, city, and zip code. And don’t forget to add your listing to Google Places. See What Works with Analytics. If you’re already getting some traffic to your website, use your analytics data to find good keywords that are already working. Then use variations of those keywords and repeat what works. Why reinvent the wheel? Drill down until you can see just the search traffic each page gets (no direct, referral, or ad traffic). Look at the keywords that are attracting the most traffic for each individual page and across the whole website. Use these words and variants of them more often. Prioritize Keywords According to Profit per Sale. 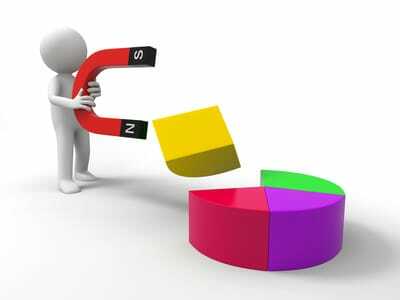 The best keywords attract visitors that eventually buy from you. So one of the secrets to finding great keywords is to know which phrases will affect your bottom line. First, research your keywords and separate them into related lists. Then list the cost of each product or service you offer and try to determine which products might lead to a multi-item sale. Finally, use this information to determine which keywords are worth more, which of course you will you use more. This article from Search Engine Watch explains the process. Risk-taking business owners might want to optimize for the highest competitive keywords right from the beginning, while more conservative businesses might prefer aiming for low-competition keywords and building on success over time. Either way, it’s always a good idea to know the competition level for your keywords so understand how much work it will take to get results. 1. Log out of any Google properties such as Google+ or Gmail. 2. Search your keyword in Google. 3. Add up the PageRank values of the first 10 natural results. Videos are acceptable unless there are more than 10 results on the first page; in that case, do not count YouTube videos since Google owns YouTube. 4. Divide the total PageRank value by 10 to determine the average PageRank of the results for that keyword. 5. Use the table below to assign a competition level to the keyword. The higher the average PageRank, the tougher that keyword is to rank for. When you know the competition level of your main keywords, you can organize them by color to see their competition level quickly. A smart strategy is to choose one highly competitive keyword and several related low- and medium-competition keywords for each page to start building up authority for the high-competition keyword. What are your secrets to finding the best keywords? Help everybody out by sharing your experiences in the comments below! Do you know anyone – a business owner, a marketer, a blogger – who could use these secrets to find keywords that work? Share this article with them using the social media buttons to the left. You could be helping them in a big way! Hi Maddalena, I’m glad you liked this article! Most of these ideas should work anywhere, but the tools you use to implement these ideas (trends, news, analytics programs) might change. Good luck researching keywords in Italy! Thank you for your post an tipa, it really does make sense that longer phrases may not get as much traffic but would rank higher in search results and be more relevant for the person searching. Will be updating my keywords and keeping an eye on analytics. Jill, I’m glad I could help you improve your keyword strategy. I’ve known several website owners who targeted lots of long-tail, low-traffic keywords at the beginning and were able to build up their ranking until their sites were strong enough to go after more competitive keywords. It’s a great strategy. Good luck! I always worried about SEO but this article really help me. Thanks for the article. You’re welcome! I’m glad you found this post useful. Good luck! Thanx for Such info regarding to SEO….Please tell me about google new keyword planner..? I haven’t used Google’s Keyword Planner yet…maybe we’ll have to write a new post on it. Thanks for the idea! The tool gives you greater insight into which keywords, ad groups, bids, and budgets you may want to use. Nice article about keyword research. Hi Christina, what would be the minimum monthly searched that we need to get for the Google Keyword Planner? And also what would be the highest competition level result that we need to consider on Google search, both with and without phrase mark? Lastly would there be some tool that we can for us to easily check the availabilty of the domain name based on our preferred keyword phrase? Yes, you’re right, Amita. Finding correct keywords for your blog is crucially important. I use this tool https://rankbrain.me developed by a guy in Silicon Valley, he was working for SEO company and he can’t find the long tail keywords he needs. The tool is free and it gives you all CPC, search volume, and other competition level. Any particular keyword research tool you use? John is impressed and hires Ralph. Several months pass and Ralph has the website ranking for keywords like “best blue widget” and “buy blue widgets” which have fewer searches, but convert three times better. John is happy, Ralph is happy and it is all because Ralph took the time to do keyword research and competitive analysis the right way. If you are an inhouse marketer, you probably know your biggest competitors, but as an agency we do not always have that luxury. Before I work with any client, I need to understand the competitive landscape because I am going to be making big decisions that impact sales, employees and shareholders. Good blog, I have learn much useful information from your blog. And in addition to these methods, you can also buy app keywords install from a reliable app store optimization company(asotop1.com), which can provide more professional services to help you find the appropriate keywords. I have little bit confusion about keyword difficulty. If anyone choose keyword that seo perameter like allintile or allineurl are easy to pick keywords but keyword difficulty high or medium. In this situation, which is important for select keyword title-url perameter or keyword difficulty most important? Please answer and remove my confusion to start my job.